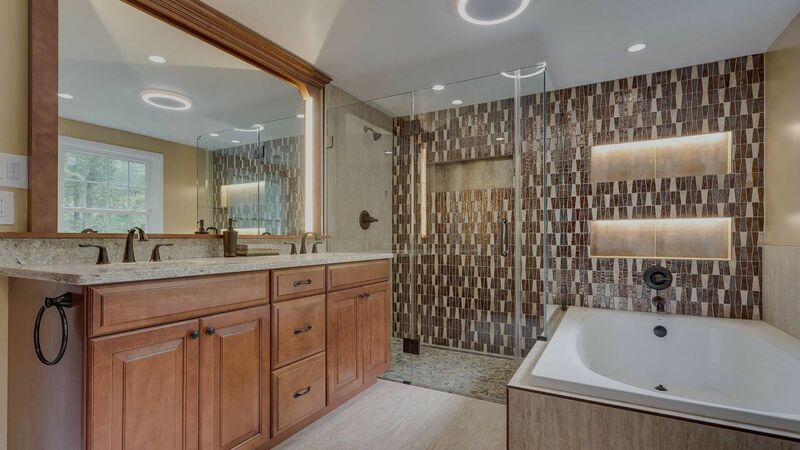 In 2018, bathrooms were the room homeowners renovated the most. It’s easy to see why—mass market homes often lack character. After several years even the nicer aspects of the bathroom are often outdated. Bathroom vanities in Milwaukee are often the centerpieces of the room. They can steal the show with their character or doom it with their outdated appearance. A great way to add character is to transform antique furniture into a vanity. You can do this yourself or pay a company to transform it. If you’re on a tight budget, you can sand, repaint and replace the countertops on your existing cabinetry; it’s labor-intensive, but it doesn’t cost much. This alone will go a long way to giving your bathroom the fresh look you want. This is a great way to add character to the room. You can DIY wainscoting with the help of a few online tutorials. Alternatively, you can choose a central wall—likely the one your vanity is against—and create an accent wall with paint, tile or shiplap. Wallpaper is an option for a half bath, but full baths tend to get too humid for it. This is inexpensive and not an area most homeowners consider when thinking about adding charm to a room. While updating your hardware to a trendy color like black or brushed copper is a great idea when you’re remodeling your bathroom, consider going a step further; getting hardware in interesting shapes rather than basic knobs can add subtle style to the room. Whether you hang wall art, place plants in the room or put funny messages up for your guests to read, decorations are a great way to add color and personality to the room. Even better, they’re easily taken down and replaced when you want a change. You don’t need a massive budget or to take your bathroom down to the studs to give it a little charm. With a few tweaks and a little time, you can relax in style.